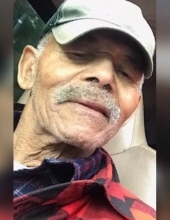 Aubrey Lee Long, 76, of Chatham, Va., passed from this life on Thursday, January 24, 2019, at Kindred Hospital, Greensboro, N.C. He was born September 12, 1942, in Pittsylvania County, Va. to Nellie Jamerson Long and Ahrmed Hilton Long. Mr. Long is survived by his wife, Nancy Jean Day Long. He worked as a logger at Heath Sawmill. Mr. Long was a member of Shockoe Baptist Church. In addition to his wife, Mr. Long is survived by his daughters, Rosetta Nibblett (Richard) of Chatham, Kathy Day (Robert) of Chatham, Mammie Hodnett of Callands, Va., Nicole Long (Dennis) of Collinsville, Va. and Goddaughter, Odessa Nibblett of Chatham; his son, Raymond Long (Bertha) of Chatham; his sister, Lena McNear (Marvin) of Danville, Va. and his brother, Raymond Long (Betty) of Blairs, Va. He is further survived by his 16 grandchildren and 33 great-grandchildren. In addition to his parents, Mr. Long was predeceased by his son, Ronnie Long; his brothers, Robert Long, Curtis Long, Ahrmed Long, Jr., Nichodemus Long, and Lewis Long; as well as his half brother, Wallace Vaden. The family would like to extend a heartfelt thank you to his special caregiver, his granddaughter, Shankink Day. Funeral services will be held at 2 p.m. Sunday, January 27, 2019, at Callands Missionary Baptist Church, Strawberry Road, Chatham, with Officiating Minister, Reverend Marland Wiggins and Eulogist, Reverend Larry Donnell Day. At other times the family will receive friends at the residence, 2536 Green Pond Road, Chatham, Va.
Norris Funeral Services, Inc. & Crematory, Mt. Hermon Chapel, 3995 Franklin Tpke., Danville, Va. is respectfully serving the Long family. Online condolences may be made at www.norrisfuneral.com. To send flowers or a remembrance gift to the family of Aubrey Lee Long, please visit our Tribute Store. "Email Address" would like to share the life celebration of Aubrey Lee Long. Click on the "link" to go to share a favorite memory or leave a condolence message for the family.